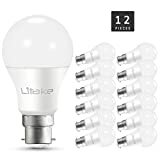 High Efficiency Bulbs: One 11W LITAKE bulb is equal to a 100W normal incandescent bulb, which means 80% electricity bill would be saved. Energy Class A+. 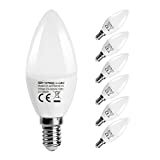 Non-dimmable Bright: The Warm White bulb(5000K) is brighter than normal one, offering you a comfortable environment. Rated 36w equivalent under the very latest EU rules which are designed to set new standards in energy saving. 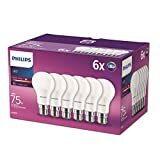 10 bulbs indivudually packaged. 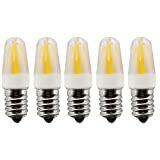 Candle shape top quality branded powersavebulbs. Energy saving light bulbs saving you 23.6% power. 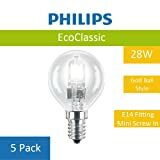 They used to be rated at 40w equivalent until the new 2013 standards but are now 36w. 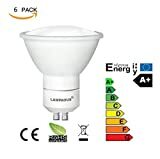 Same bulb but new EU rules mean the top brands will have to print a lower rating than was stated in the past per lumen. 240v. 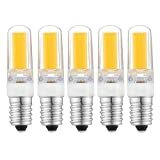 Fully dimmable new technology Halogen light bulbs. Genuine CE & RoHS (Includes the UK) safety approval they exceed European standards. 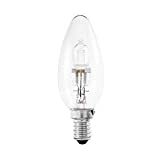 97mm total length including metal fittings which is the same size as a normal candle bulb. 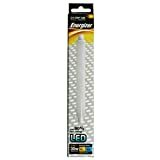 LED E14 - Easy replacement light bulb with a flicker free design. A true retro fit with even light distribution. 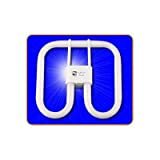 Using only 30W of electricity, the Biobulb produces a bright light equivalent to that of a 150W incandescent bulb. 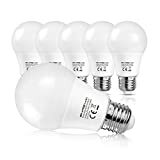 · LONG-TERM BENEFITS: Saving 94% energy cost on your electricity bill immediately, 3W ARVIDSSON LED equivalent to 25watt halogen bulbs, 18years extra long lifetime! Reduce the hassle of frequent replacement and saves unnecessary maintenance costs. · FROSTED COVER DESIGN: Upgraded polycarbonate material with frosted cover, 96% light transmission, That's secures a healthy light as well as easy up eye strain for long time working or watching. 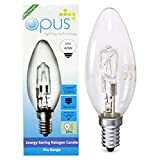 · WIDE APPLICATION: Elegant Capsule design which fits most of chandeliers, pendant fixtures or ceiling fixtures, 3000K warm white color perfect for used in kitchens, living rooms, bedrooms and hallways. 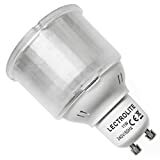 · DURABLE QUALITY: ARVIDSSON strive to offer the best quality G9 LED bulbs to our customers, all items are produced by automatic machine, 8 hours of aging testing for each single unit is a must, 100% qualified inspection before delivery, fully comply with CE and RoHS standards. · PURCHASE GUARANTEE: 30 Days unconditionally refund guarantee, 2 years limited quality warranty from the date of the original purchase. 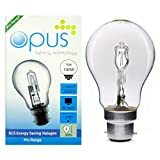 2 PIN B22 BAYONET FITTING - DIRECT SWAP FOR OLD BULBS - NO RE-WIRING NEEDED - For use with standard UK 2 pin b22 bayonet fittings. 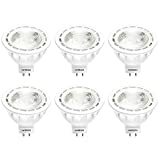 BRIGHT WARM WHITE LIGHT - 3000 Kelvin - Ideal Cosy Feel for the Home. 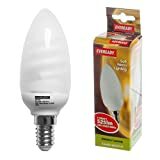 NON-DIMMABLE VERSION - TESTED TO +6000HRS LIFETIME. 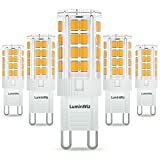 30W EQUIVALENT: LuminWiz 3.5W LED Bulbs are highly-efficient to replace traditional 30W G9 incandescent light bulbs, reduce your carbon footprint and cut down almost 90% electricity bills. 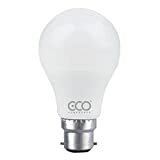 Excellent heat dissipation: With 95% ceramics material(better than silicone coated G9 Bulbs),make the light works stably and no any flicker. 360° OMNI DIRECTIONAL: With 3000K warm white light emitting from the G9 Bulbs, it creates a nice glow in your room. 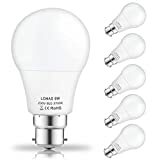 A 300lm bulb with 360-degree beam angle is bright and Omni directional. 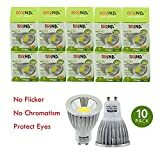 High CRI of 80+, more vivid and natural light is offered. 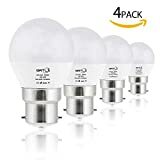 OUR CUSTOMER SATISFACTION MONEY-BACK GUARANTEE: If you are not satisfied with the LED Bulb just return them within 30 days for a full refund. No questions asked, no hassle. Cozy warm white light (2700 Kelvin). Very low energy consumption (9 Watt) - saves upto 80% energy. Measurements: 13 x 3,7 cm (height x diameter). 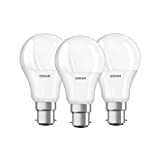 3 bulb pack. 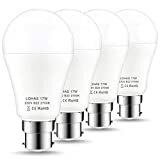 GU10 240 volt energy saving compact fluorescent light bulbs. CE approved. 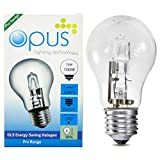 11 watts power usage but 50 watts equivalent light. Not dimmable as this damages the bulbs. Cool white light 4000k. Long life, 10,000 hour average lifespan or ten years in normal usage. 74mm length from tip to tip including the 2 pins. 50mm lens diameter. These are standard fitting GU10 light bulbs for standard light fittings (Not TP24 specialized fitting). Suitable for single or multiple light fittings. CE approved for UK and European use. 【DURABLE QUALITY】--Excellent Heat Sink with Full Ceramic Housing, Fireproof and Safety, makes the Lights Work More Stably, Lifespan can be Increased Greatly, Can Work More Than 30,000 Hours. CE ROHS Approved. No Strobe and Protect the Eyes Especially for Family with Children. 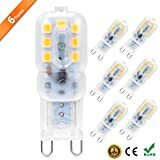 【EASY TO INSTALL】--With Standard GU10 LED Bulb, Easy to Replace the Original One In Kitchens, Dining Rooms, Hallways, Living Rooms, Bedrooms and More. 【SOFT LIGHTING】--Cool White Light With Color Rendering Index 85, 500lm, Offer a Nice Bright Ambient Atmosphere for Your Decoration. 【NON DIMMABLE】--Please Do Not Use with Dimmer Switch.